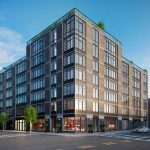 Hotels and condos have long been two separate places: but the Naftali Group is shaking things up in the Gramercy District. 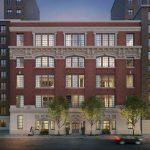 The Manhattan-based developer recently debuted its 234 East 23rd Street condominium development, a striking 20-story new tower slated to house 57 luxury residences. But, given today’s buyers demand more than a nice home, Naftali filled the building with boutique hotel-inspired amenities and lounge spaces to make the entire building feel like an inviting cocoon. 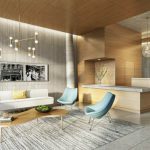 Residents will enter through a double-height lobby designed by Rottet Studio – the first-ever partnership with a residential real-estate developer – which has also worked in refined hotel spaces including The Surrey in New York and the St. Regis in Aspen. 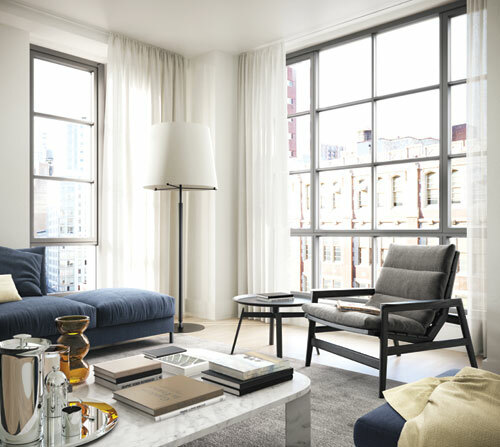 The residences, which go up three-bedrooms, range from 602-square-feet to more-than 2,300 square feet, boast floor-to-ceiling casement windows. 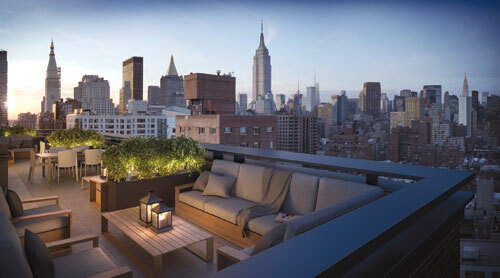 Prices range from around $800,000 for a studio to more than $6 million for a four-bedroom penthouse with including sweeping outdoor spaces. Many of the residences have private terraces. 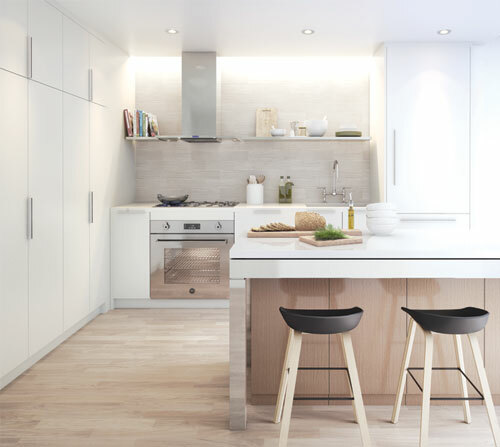 Solid white-oak floors add a warm aesthetic to the units, while ornate detailing and crafted finishes come together with flexible layouts, interspersed with unique build-outs and alcoves. The stylish-and-modern kitchens feature the brands today’s buyers seek: Bertazzoni and Sub-Zero appliances, for example. There are even Bosch washers and dryers, making trips to the Laundromat history. There’s plentiful storage, ample work surfaces and flexible layouts that can accommodate everything form a casual family meal to an elaborate dinner party. The building’s stately bathrooms offer clean, contemporary lines and elegant materials, including marble-lined floors and walls, custom casement-style glass doors and custom-made vanity units featuring Carrera marble. 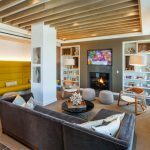 Amenities include a second-floor garden terrace, a barbecue grill and an outdoor kitchen, as well as a library with a billiards table, kitchenette/bar, and modern fitness center. 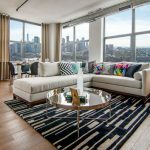 There is also a doorman, concierge service through Abigail Michaels, individual private storage units and bicycle storage.